Apartment with 2 bedrooms and 2 bathrooms, private parking, Wifi. Apartment of character in building classified historic building, beautiful beamed ceiling, 2 nd floor with elevator, 2 bedrooms and 2 bathrooms, private parking, free WiFi, kitchen, washing machine, dishwasher, large TV, quiet , bright, unobstructed view of the rooftops and the hill. 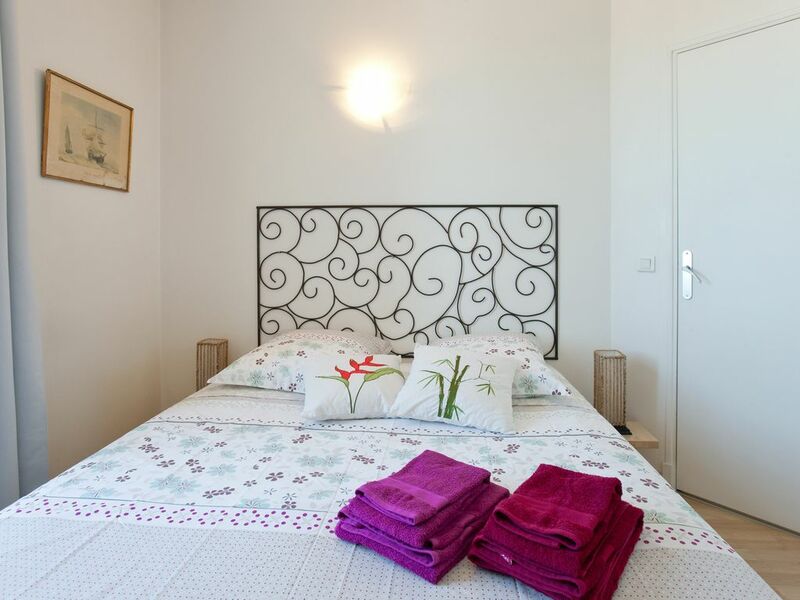 Located a secure and private property in the heart of St Remy can comfortably accommodate 5 people, with. Close to many shops. Municipal swimming pool 2 mm distance. - Many small villages all around, different landscapes, a single market for long walks or bike. A bus stop is nearby and can take you to Avignon in 20 minutes. Rental bikes and bicycles for the day. A spontaneous girl’s weekend with friends of 44 years...the apartment was perfect! Very comfortable and great location...easy to walk everywhere. Gilles was super helpful and accommodating. I would highly recommend this place!! Love the Place, Location and Owners! St Remy is wonderful as well. Can hardly wait to return! This lovely apartment was perfect for four adults and one 17 month old child. It was very clean and roomy with everything we needed to make this our comfortable home away in Provence. The location was very convenient to restaurants, grocery stores and quaint shopping area. It was also nicely situated in Provence to drive to all the places we wanted to see. An elevator and secure parking were appreciated.We enjoyed the views of the village and mountains from the large windows. Gilles made sure that we had what we needed including a crib for our toddler. The kitchen worked well for making breakfasts and dinner. So nice to have a washing machine too. There is a spiral staircase to the upstairs bed and bath with a large spa tub. We had to block it off for the toddler but that was no problem..Downstairs bed and bathroom with shower was perfect for our young couple and grandchild. We enjoyed a pleasant week . Thank you Gilles! The apartment was spacious, clean and very secure in an excellent location close to shops and restaurants. Parking is available which is very convenient. Giles is an excellent host. Thank you. Conformément à la description, l'appartement est spacieux, clair, agréable et bien équipé. Il est aussi très bien situé, près du centre ville. Le parking privé permet de se garer facilement. Nous avons apprécié également l'accueil et la disponibilité du propriétaire. Estupendo duplex, magníficamente situado, a 5 min. del centro de Saint Remy y pegado a la salida para tomar todas las direcciones en coche. Hay que añadir la gran ventaja de disponer de plaza de garaje, que para nosotros era casi imprescindible, ya que los 7 dias estuvimos viajando a conocer los múltiples atractivos que tiene la Provenza. Gilles encantador, siempre dispuesto a ayudar y colaborar. Solo un pequeño inconveniente en el apartamento: la parte alta donde está uno de los dormitorios y uno de los baños es buhardilla lo que supone la consiguiente limitación en altura. Por lo demás, limpio, cómodo y amplio. Gracias Gilles.